Fire Division volunteers are Collecting Bottled Water for delivery to the residents of Flint, Michigan, I have learned from Battalion Commander Bernard Blake. 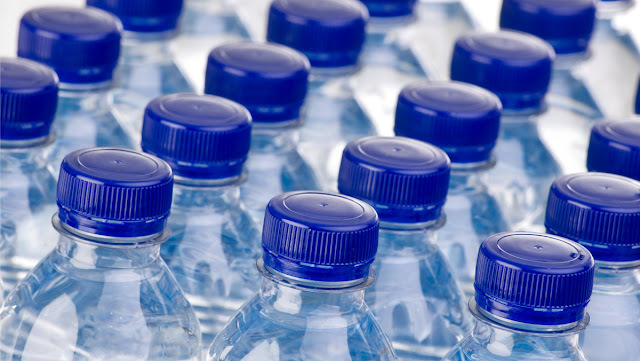 Water in any size containers may be donated from now up until Noon on Friday, after which it will be loaded in a tractor trailer along with donations from Newark and New Brunswick to be delivered to the Michigan city where lead has tainted the drinking water. Donations may be dropped off at Club Cosmo, 1209 South Second Street (just before Clinton Avenue, next to the carwash). If no one is at the club, leave at the rear door and leave a message on the Plainfield OEM phone number advising of your donation. The number is (732) 522-3486. Plainfield Action Services is taking part in the national Jolin Food Box program. Under the program, participants obtain a balanced variety of breakfast, lunch and dinner items from national brands at up to 50% savings over store prices. Here's how it works: Call PAS to register: (908) 753-3519. Go online to www.jolinfoodbox.com/, to order. Be sure to read the instructions on the website on how to pay for and pick up your order. Be sure to indicate "Plainfield Action Services" as your pickup site. Orders must be placed before the third Monday of the month. Your box of food items will be delivered on the fourth Saturday of the month to PAS for pickup. For more information, call PAS at (908) 753-3519 or drop in at City Hall Annex, 510 Watchung Avenue during business hours. The Plainfield Police Division, the Plainfield Municipal Alliance and Plainfield Athletics are hosting an "Operation Fuse School Bash" for Plainfield 8th-graders on Friday, March 4, from 6 PM to 10 PM at Plainfield High School. The free event is designed to bring together 8th graders from throughout the community. There will be games, contests, music and food. Admission is by showing valid student ID. The Plainfield Police Division advises that new 4-way Stop Signs are being installed at several locations in the 3rd and 4th Wards. A 4-way stop at West 4th and Monroe is already in effect. Drive mindfully and obey the stops. I have still noticed some confusion: the other day a woman blew through the stop at Arlington and West 9th going southbound. On the other hand, I was one of three cars that arrived at that same corner at the same time on another day, and we all just sat there waiting for someone to make a move.